Last weekend, I saw the movie Still Alice. I left the theater furious. Yes, Julianne Moore did give an Oscar worthy performance. Yes, the film did accurately portray what we know as “Early or Young Onset Alzheimer’s “. Yes the other movie viewers were quiet and courteous, the temperature was find and the seat was comfortable. And my popcorn was good. So why was I furious? For more than 12 years, I served as the Executive Director of the Alzheimer’s Association, WV Chapter. 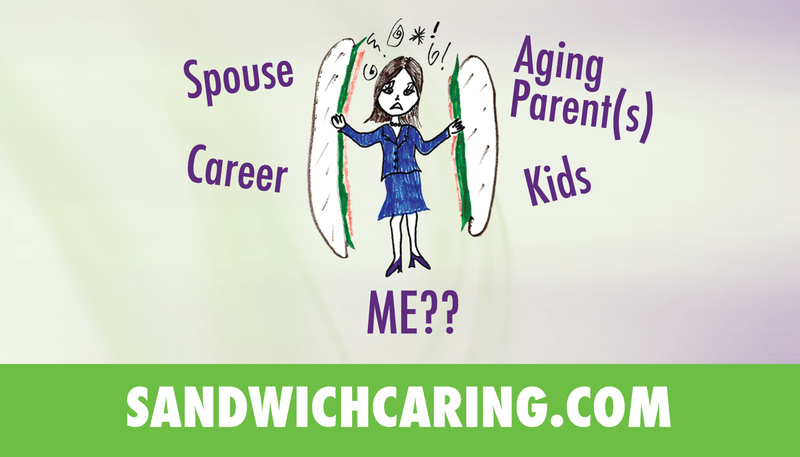 Since my retirement, I continue to interact with those with the disease and with their caregivers through my speaking and my website www.sandwichcaring.com. . And I have worked with and met many wonderful people who work very hard to end this disease. I read the book Still Alice when it was first released years ago. I have met the author Lisa Genova and was thrilled when it was to become a movie. I hoped it would be the impetus to a broader conversation and movement. In the nearly empty theater, a woman who sat behind me said as the movie ended, “Boy that was a downer.” It was about Alzheimer’s disease for heaven sakes. What did she expect- jokes and giggles? Last week, I spoke to a group of about 60 folks who work in the field of long term care. I asked if any of them had seen the movie. Not one person raised their hand. One man said, “That would be too sad. “ I have casually asked many friends if they have seen the movie, only one has. You see, I know and have known too many “Alice’s”. I am watching someone very close to me, succumb to this disease. Heck, there are millions of people in the United States who have Alzheimer’s disease – more than five million to be more exact. And yet, it is the only one of the ten leading causes of death that is on the rise. Research funding for Alzheimer’s continues to lag behind. There are also millions of exhausted caregivers. Yet, few people want to talk about it. Folks don’t want to see a movie about it. Many doctors don’t want to diagnose it. There are families who don’t want to admit that someone they know and love has it – they find it embarrassing. Everyone I know says they are terribly afraid of this disease, that it would be “the worst” should they develop Alzheimer’s. But many of them do nothing about that fear. And all that makes me sad, frustrated, disappointed, but mostly, furious. It’s gone on too long. It’s time now – to talk about it. We need to say the words out loud. We need to make it a health priority. We need to make it a campaign issue. Why don’t we ask every single presidential hopeful what he or she plans to do about this disease? Not how they feel, or if they care, but what they plan to DO. We ask them all sorts of questions about guns, war, abortions, and jobs. We even ask them who they think will win the NCAA tournament. Let’s add THIS to the mix – a disease that will cripple Medicare, a disease that kills more than prostate and breast cancer combined, a disease that ravages minds and families. It’s time. And even if you don’t go see the movie, get mad. This entry was posted in caregiving, dementia, life challenges, parents, planning for the future, sandwichcaring and tagged aging parents, caregiving, dementia, health care on March 31, 2015 by janestory. You really expressed how I feel! Great post and glad I found your blog. Good point, Jane. I read the book some time ago and simply don’t go to movies, but I continue to occasionally write and talk about Alzheimer”s. Later this month we will have our final PC reunion and one of the volunteers I served with will be accompanied by her daughter. She has Alzheimer’s and remains sweet and pleasant. But the family shared information about the diagnosis in 2013 and her daughter asked me to share in advance (email) a bit to help others at the reunion know how to relate to her. Wish more would do so.